Nationally, one-fifth (19%) of 18 to 25 year old adults reported using marijuana in the past 30 days, according to the 2015 National Survey on Drug Use and Health. In three states - Colorado, Vermont, and New Hampshire - that increase to nearly one-third of young adults. 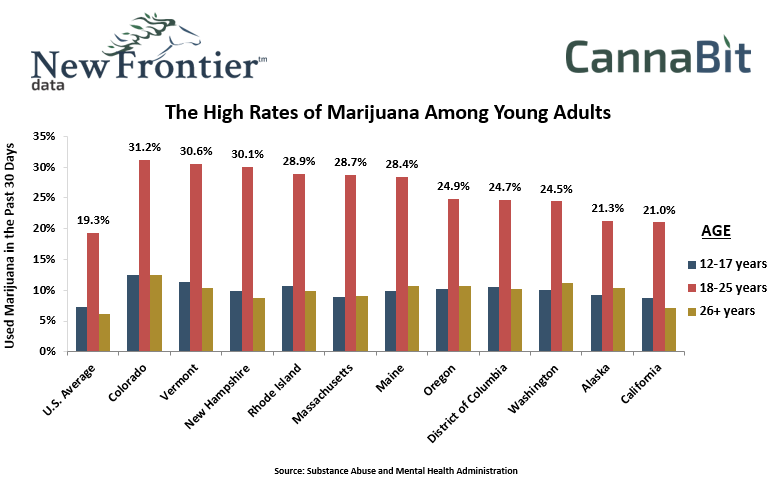 Notably, in all states, marijuana use falls precipitously among adults over the age of 25, which highlights the extent to which young adults are a major driver of national marijuana demand.